Homestead Farm maintains high standards for architectural control to ensure that the charm of the neighborhood is maintained. An active neighborhood association creates many opportunities for social events. This neighborhood has a pool with a neighborhood swim team, tennis courts, bike paths and a playground. Homestead Farm has an awful lot going for it in terms of both location and amenities for residents. Firstly you need only drive less than 20 miles to reach Denver, the state capital and an equally short drive will take you to Colorado Springs. When you add that to the fact that this is one of the most recently incorporated cities in the United States and was also recently voted one of the best places in the United States to live you can see why Homestead Farm and the City of Centennial as a whole are proving to be so popular with families and investors. 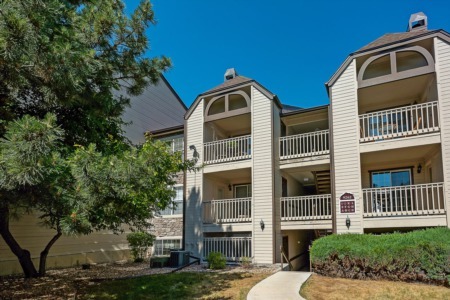 If you love shopping then Centennial and Denver has lots to offer you in the form of Park Meadows Mall, Southlands Mall or you can head towards Denver and enjoy the Cherry Creek shopping area too - there's nothing you can't or won't find there. There are also two King Soopers in and around Homestead Farm so you won't have to travel very far to get the basics of family groceries. Love a good, hot cuppa Joe? Well then you'll be happy to know there's a Starbucks near Homestead Farms too. Homestead Farm homes are also right beside Willow Spring Open Space giving you several hundred acres of space to enjoy, including Willow Creek Trail which goes right around the edge of this park. There are several great golf courses in the area and you also have the excellent Cherry Creek School District education system with a wide range of elementary, middle and high schools operating in the area. An affordable set of properties in an ideal location with all amenities only a stone's throw away - what else could Homestead Farm possibly offer you?